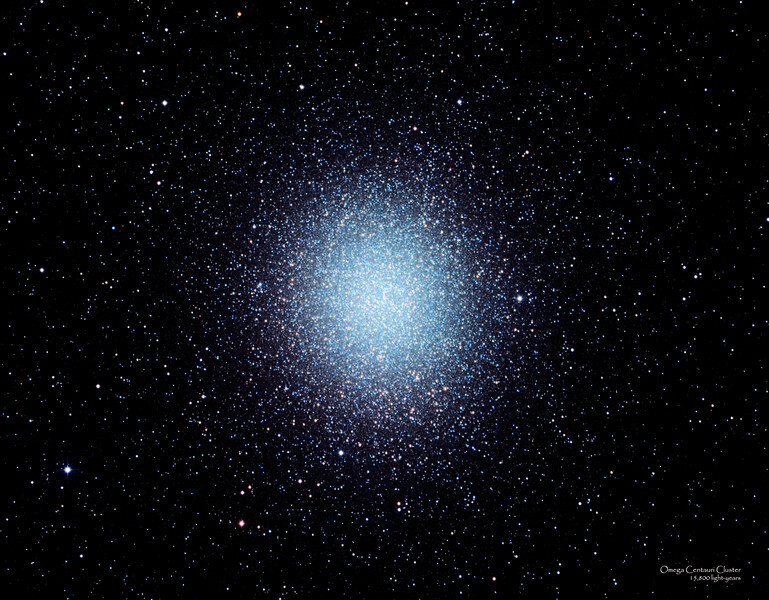 Omega Centauri or NGC 5139, is a globular cluster in the constellation of Centaurus, in the Southern Hemisphere, that was discovered by Edmond Halley in 1677. Located at a distance of 15,800 light-years it is the largest globular cluster in the Milky Way galaxy at a diameter of roughly 150 light-years. It is estimated to contain approximately 10 million stars and a total mass equivalent to 4 million suns.